There is a museum, gift shop and tearoom. Film shows, guided walks and a programme of exhibitions are on display in the galleries. 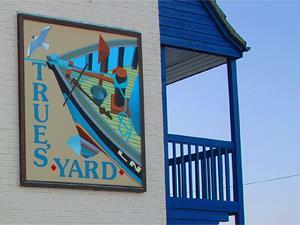 The Yard also holds an authentic fishing smack 'The Activity'. Facilities upstairs include a large Education room and computer room with broadband and all updated packages. Open all year except for 2 weeks over Christmas and New Year. Last admission 3.30pm. Our entry prices are £3 for adults £2.50 for seniors and £1.50 for children (under 5’s are free).